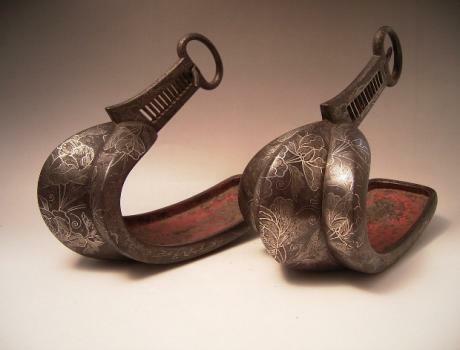 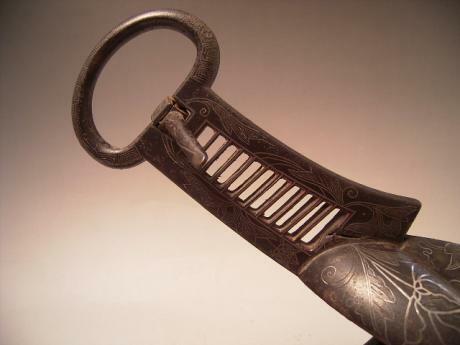 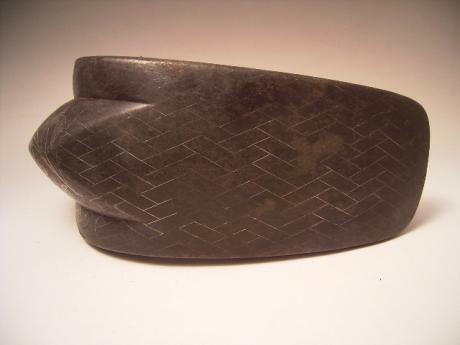 Description: Japanese Edo Period pair of iron ABUMI stirrups. 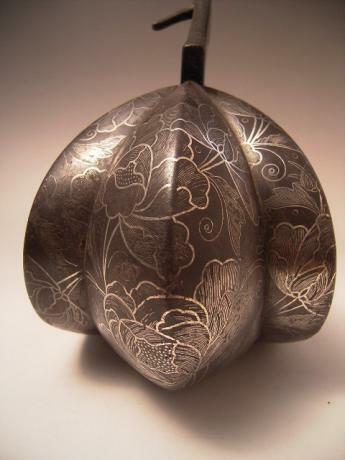 This pair has a wonderful floral pattern inlaid into the iron in front and on the sides. 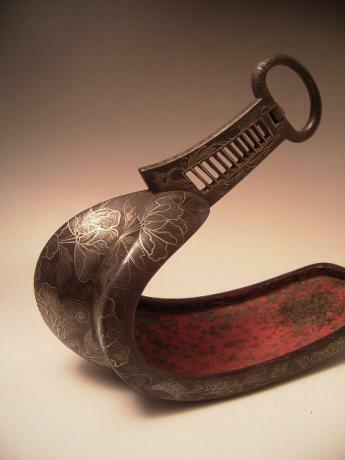 The top and bottom are done in an inlaid geometric pattern. 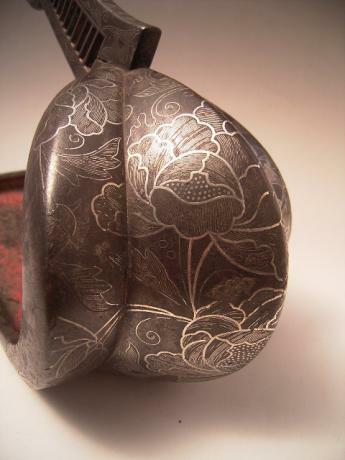 The inner part have lost the typical wood and painted red lacquer linings. 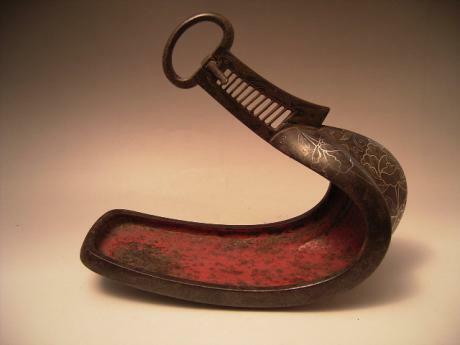 Each stirrup measures 11 1/2" long, 9 3/4" tall and is 5 1/4" wide.